Download Samsung Galaxy S9 Front & Back Free PSD Mockup. this free psd mockup will perfectly suits for your design this clean and minimalist Samsung Galaxy S9 Front & Back Free PSD Mockup is created with high resolution 2200px you can keep your design inside this psd just replace the “Design” layer and see your design in this mockup you can set colour saturation with selective colours filter that is already applied in this mockup. This Samsung Galaxy S9 Front & Back Free PSD Mockup which might handy for your design projects as well as showcasing your Mobile app, Mobile websites and Samsung galaxy S9 wallpaper in unique way. 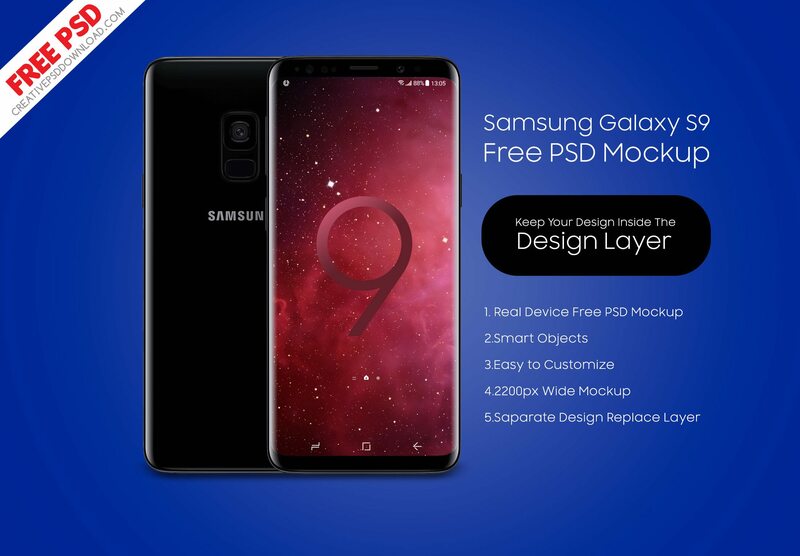 Samsung Galaxy S9 Front & Back Free PSD Mockup is created to help you display your projects in photo clean way. This mockup is all you need to get great results and impress your clients. If you like you can download and use this Samsung Galaxy S9 Front & Back Free PSD Mockup freely. 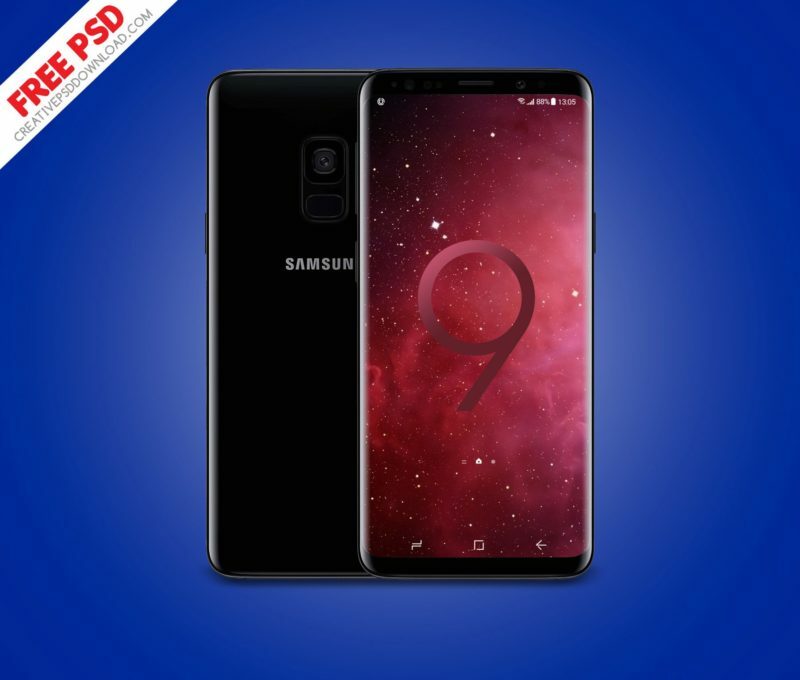 So don’t miss the change grab this Samsung Galaxy S9 Front & Back Free PSD Mockup just click the below download button and this beautiful mockup will your’s. Enjoy this freebie!